Caroutfitter is a website made by and dedicated to car enthusiasts. We enjoy cars and we believe they are an important part of everybody’s live. It doesn’t matter if you’re driving a sports car or a van, a convertible or an RV, if you like your car, you’ll love our website. 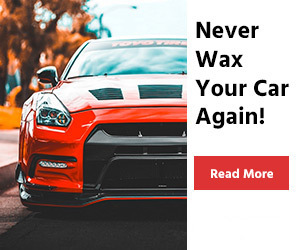 Here at Caroutfiiter we go review hundreds of products, but we feature only the best, so rest assured when we say that we only feature those car parts and accessories we’re willing to put on our personal vehicles. Every product review we feature reveals both the product’s strengths and weaknesses, so you’ll be able to make an informed decision on which model will fit your particular needs best, after reading them. Our Buying Guides are very detail-oriented and thorough, so you should be able to find all the information available on a particular car part in them. Every guide is made by a professional, somebody that knows exactly how certain car parts should work, and how you can improve them. Find out all there is to know about a product before buying it and installing it on your car. Most car enthusiasts like to work on their cars, some more than others. To help you in this regard, we develop How To articles explaining with a lot of details every step you need to take if you want to accomplish a certain task. At Caroutfitter, we love cars so we know exactly how to find the best products for you.